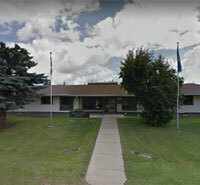 Pine Creek Manor and Waskatenau Manor are located in the farming community of Waskatenau Alberta, 93 kilometres northeast of Edmonton. The residences get their names from two nearby creeks that flow into the North Saskatchewan River. Waskatenau (pronounced Wa-SET-nah) is a Cree word meaning ‘opening in the (river) bank’. Both of these independent living seniors’ residences contain eight self-contained one-bedroom suites for a total of 16 suites. Each suite has its own private entrance, appliances and storage. Separated by several blocks, both residences are within easy walking distance of everything this active village has to offer, including ball park, curling club, community centre, churches, schools, parks and shopping on main street. 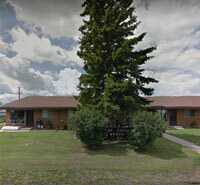 Smoky Lake Foundation provides accommodation in Pine Creek Manor and Waskatenau Manor based on priority of need determined by the Alberta Seniors’ Self-contained Housing Program for low and moderate-income seniors who are functionally independent. Arrange an appointment with the Smoky Lake Foundation to review your completed Application Form (including Income Tax Notice of Assessment) and Medical Form.